Dr. Ryan is a Professor in the Departments of Psychology and Neurology at the University of Arizona. 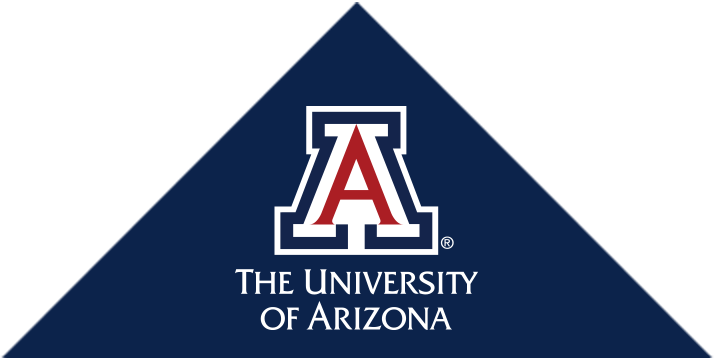 Currently, she is the head of the Psychology Department as well as the Director of the Cognition and Neuroimaging Laboratory and the Associate Director of the UA Evelyn F. McKnight Brain Institute. Her research focuses on the neural basis of memory, age-related changes in the brain, and how these changes relate to cognitive functioning. Her research is currently funded by the National Heart, Lung and Blood Institute and the Arizona Alzheimer's Consortium. She has a special interest in memory disorders such as Alzheimer's Disease, AIDS-related dementia, and diseases of white matter including multiple sclerosis. Burke, S.N., Gaynor, L.S., Barnes, C.A., Bauer, R.M., Bizon, J.L., Roberson, E.D., & Ryan, L. (2018) Shared Functions of Perirhinal and Parahippocampal Cortices: Implications for Cognitive Aging. Trends Neurosci. Mar 16. pii: S0166-2236(18)30062-6. Stickel, A., Kawa, K., Walther, K., Glisky, E., Richholt, R., Huentelman, M., & Ryan, L. (2018) Age-Modulated Associations between KIBRA, Brain Volume, and Verbal Memory among Healthy Older Adults. Front Aging Neurosci. Jan 10;9:431. PubMed Central PMCID: PMC5767716. Memel, M. & Ryan, L. (2017). Visual integration enhances associative memory equally for young and older adults without reducing hippocampal encoding activation. Neuropsychologia, 100, 195-206. Marquine, M.J., Grilli, M.D., Rapcsak, S.Z., Kaszniak, A.W., Ryan, L., Walther, K., & Glisky, E.L. (2016). Impaired personal trait knowledge, but spared other-person trait knowledge, in an individual with bilateral damage to the medial prefrontal cortex. Neuropsychologia, 89, 245-253. Lane, R.D., Ryan, L., Nadel, L., & Greenberg, L. (2015). Memory Reconsolidation, Emotional Arousal and the Process of Change in Psychotherapy: New Insights from Brain Science. Behav Brain Sci, 38:e1. Hoscheidt, S.M., Labar, K.S., Ryan, L., Jacobs, W.J., & Nadel, L. (2014). Encoding negative events under stress: High subjective arousal is related to accurate emotional memory despite misinformation exposure. Neurobiol Learn Mem, 112, 237-47. Ryan, L., & Walther, K. (2014). White matter integrity in older females is altered by increased body fat. Obesity, 22(9), 2039-46. Chan, S.H., Ryan, L., Bever, T.G. (2013). Role of the striatum in language: Syntactic and conceptual sequencing. Brain and Language, 125(3):283-94. Nadel, L., Hoscheidt, S., Ryan, L. (2013). Spatial cognition and the hippocampus: the anterior-posterior axis. Journal of Cognitive Neuroscience, 25(1), 22-8. Forbes, C.E., Cox, C.L., Schmader, T., Ryan, L. (2012). Negative stereotype activation alters interaction between neural correlates of arousal, inhibition and cognitive control. Soc Cogn Affect Neurosci, 7(7), 771-81. Ryan, L., Cardoza, J.A., Barense, M.D., Kawa, K.H., Wallentin-Flores, J., Arnold, W.T., and Alexander, G.E. (2012). Age-related impairment in a complex object discrimination task that engages perirhinal cortex. Hippocampus, 22(10), 1978-89. Roberson, E.D., Defazio, R.A., Barnes, C.A., Alexander, G.E., Bizon, J.L., Bowers, D., Foster, T.C., Glisky, E.L., Levin, B.E., Ryan, L., Wright, C.B., and Geldmacher, D.S. (2012) Challenges and opportunities for characterizing cognitive aging across species. Frontiers in Aging Neuroscience, 4:6. Burke, S.N., Ryan, L., and Barnes, C.A. (2012). Characterizing cognitive aging of recognition memory and related processes in animal models and in humans. Frontiers in Aging Neuroscience, 4:15. Alexander, G.E., Ryan, L., Bowers, D., Foster, T.C., Bizon, J.L., Geldmacher, D.S., and Glisky, E.L. (2012). Characterizing Cognitive Aging in Humans with Links to Animal Models. Frontiers in Aging Neuroscience, 4:21. Walther, K., Bendlin, B.B., Glisky, E.L., Trouard, T.P., Lisse, J.R., Posever, J.O., & Ryan, L. (2011). Anti-inflammatory drugs reduce age-related decreases in brain volume in cognitively normal older adults. Neurobiology of Aging, 32(3), 497-505.